After Starting my Blog in June 2015 I started to try out a ton of new stuff and throw away a lot of it. So I thought it would be helpfull for other new Bloggers out there to get around some work by reading those hints. All the Tools and services listed here, I use personally on my blog or used them before and think they are great for others as well. Canon EOS Rebel T1i – is the Camera I use right now for every photo I take and share. I owe this camera for a couple of years now and I think it’s a really good camera as a starting point. I don’t think that it’s available for purchase anymore but there are newer versions of the same product so for instance the Canon EOS Rebel T6i. The camera is a digital single lens reflex camera so you get a good starter professional camera. A huge plus to your small digital camera. Adobe Photoshop Lightroom – The easy to use photoediting software of choice. With this piece of software I edit almost all my images. You are rapidly fast and have the possibility to edit multiple images at the same time, with the same settings. You can adjust what you want, but you cannot retouch an image. Therefore you should stick with the big brother. Adobe Photoshop – Absolute state of the art editing software. I work in the VFX industry and we use this software all the time. From a photography point of view, you will have almost all possibilities you can think of. You can retouch, adjust, clean, compose and a ton of more stuff. It’s kind of expensive but if you really want to work with your photography there is no way around. Those tools should help everyone starting a blog, the tips in this section are not food blog special, they are more from a technical point of view and therefore apply to every blog you start out, if its a financial blog or a blog about your beloved pet. Strato – For the hosting of Rock the Taste I stick with Strato since the beginning. They offer a good starter plan for just 3,90€ with everything you need. 1 Domain (i.e. www.yourdomain.com), 30gb Webspace and 2 Database thats almost enough for a blog. If you need more there are more expensive plans for instance dedicated server plans starting at 54€. Bluehost – I also want to mention Bluehost as an alternative, because a lot of blogger colleagues use bluehost and do really highly recommend that service for starting out a blog. There you can start out your blogging experience for around 5$ so not to expensive as well. 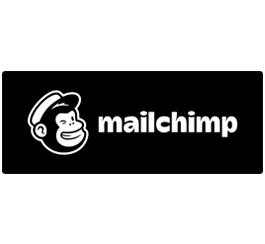 Mailchimp – Is my service of choice when it comes to managing my email newsletter and subscriptions. You can create campaigns and create several different email lists for this. You can create forms to subscribe and you have great managing tools. The service is free till you reach the limit of 2000 Subscribers, and thats a lot! If you want to use email marketing, you should definetly give it a try! This section is wordpress related. I personally use WordPress as Content Management System and love it therefore. I used Joomle a few years ago but didn’t like it that much. The tools and software i show you in this section I use on my blog or used it sometimes before, so they are prooved of production. Genesis – A really impressive and flexible framework. The framework is used all over the web from top blogger to top blogger. Pinch of Yum, a really succesfull Foodblog, for instance uses it with a custom child theme. But there a re lot’s of others to using it because of it’s feature richness and easy usabilty. Foodie Pro Theme – The Genesis Framework is awesome but it get’s even more awesome when you get a nice child theme for that. You can design one yourself or buy one from different developers. I bought mine from Shay Bocks, The Foodie Pro Theme and highly customized it by myself. Free WordPress Themes – If you just start out your blog you might not want to spend any money, so you might stick with some free wordpress themes. There are really thousands of free themes out there, but to find an awesome one is kind of hard. But if you really want to start a serious business, you might spend a bit of money to buy a good designed Pro Theme and customize it at your needs. Easy Social Share Buttons for WordPress – You want your blogposts to be in the whoole world right? Then give anyone the chance to share your great content. Easy Social Share Buttons give you the ability to choose from a ton of styles and design your follow buttons, share buttons or counters as you like them. It updates on a regular base, so new social media icons are integrated fast. Recipe Card – If you start out a foodblog, you don’t think of a recipe plugin. You want to start and keep things easy. But just pasting your recipes in plain text doesn’t do that. It becomes realy complicate in social media like rich pins. You might think of a recipe plugin to share your recipes with. I’m really satisfied with, but there are tons of other plugins out there, just test them out. But especially the often praised easy recipes I absolutely don’t like. Give Recipe Card just a try, it’s free. WPML – This is the premium way to go for everyone who wants to write in more than one language, wpml builds a whole translation backend for you and let you connect the same articles of different languages. Of course this is not translating for you! You have to write all by yourself, but it gives you awesome tools to manage your multilingual content. BackWPup – Cool you have almost 50 Blogposts and a let’s say 20K words written. Your Blog is growing every day. But on day x you go to the domain where your blog was and… nothing. Server crash and your hoster doesn’t have backups. Everything you worked hard for is gone. You see why it’s important to do backups? I use BackWPup for this and it’s great. The best it’s free in its basic version.